Today early morning one of my friends called me for urgent help. He is working as a System Administrator for a small company and wants to disable copying files from working computer to USB drives (pen drives). I told him to disable the USB port and fix the issue. Then he said according to the company policy he cannot disable it. He wants the computer should read files from the USB drive but no file transfer to it from computer hard disk. So, in a nutshell, he wants to read files from the portable storage drive on his company computers but does not want to copy files from his company computer to the USB drive. He is confused that if it is possible to block writing files to the portable memory storage without preventing the PC from reading it. I too at first confused with this strange company policy. Then I realize, it is very simple to do. We can enable write protection on USB by GP edit or Registry Edit. If Write Protect is enabled on Universal Serial Bus, the computer can read files on portable storage but not able to copy content to them from the hard disk. 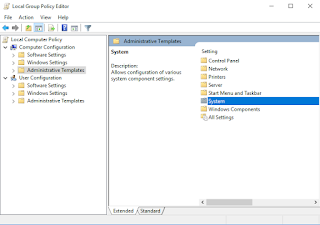 It is very simple to enable write protection on USB Ports from registry and group policy editor. 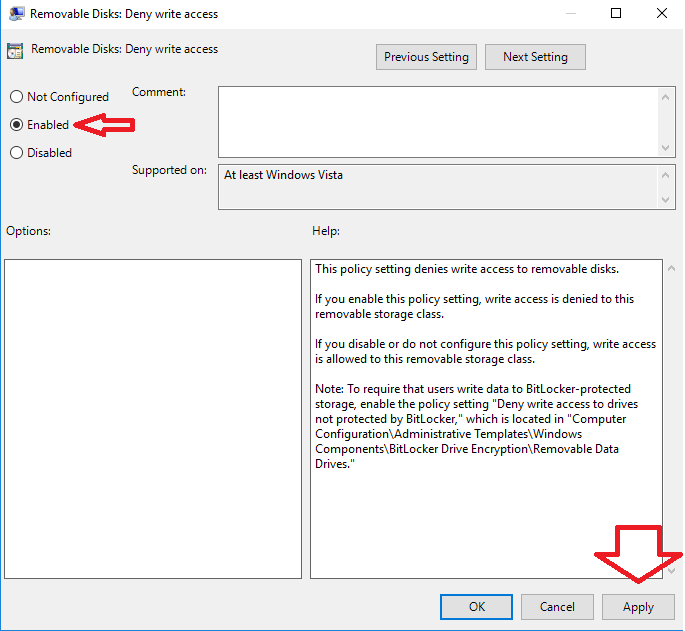 On Windows 7 and Windows 10 computers, the easiest method to disable copying to USB storage without preventing reading is to enable "Removable Disks: Deny Write Access" on Local Group Policy Editor. If you do not know how to do it, follow the step by step instructions. Now onward, your Windows computer will not allow copying files to any storage device connected to its USB ports. Click on start and go to the Run (Press Windows and R button together to open run window). Type regedit on run window and click OK.
Now the registry editor will be opened. Before making any changes to Registry, I recommend you to take a backup of current Registry on your computer. 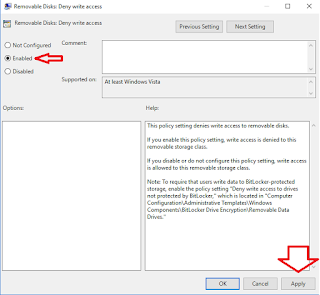 Create a DWORD value called ‘WriteProtect‘ and set it to 1. Now onwards your PC will be able to just read the files from eternal memory drive connected to but the drive can no longer copy content from hard disk. To disable write protect on USB drives change the DWORD to 0. This article tells how to enable write to protect on USB Port and disable copying files from computer hard disk to the USB drive. In case if you want to disable entire Universal Serial Bus ports on your computer from Registry click on the link below. There is a registry tweak to fix an error code usually see after updating Windows using the live update. To read more about it click on the link below. Yes, your drive will work in others computers. HI, on my computer in control there is not a folder with a name StorageDevicePolices. What did I do wrong? 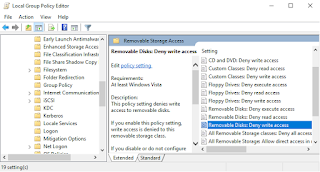 In my computer reg there is no such folder called StorageDevicePolicies. what to do? Which version of Windows you have on your computer ? Hi, thanks for your reply. I am using win7 and win 10. I followed this method, just needed to creat new key in control. And rest is same. 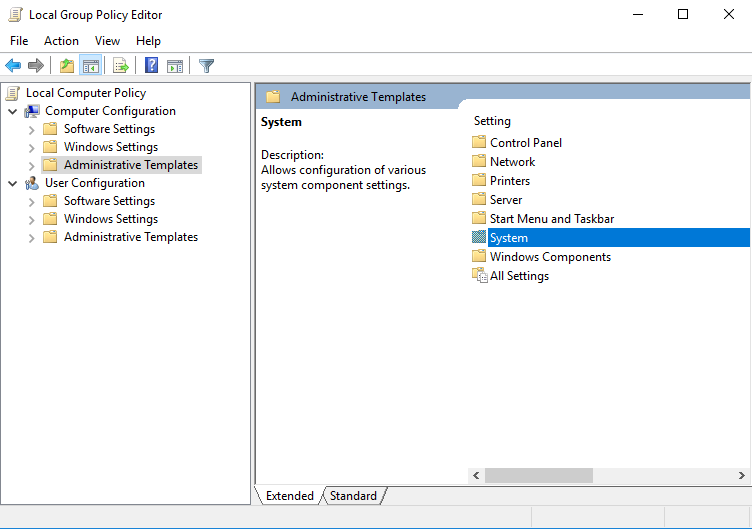 You may try Group Policy Edit instead of Reg Edit. I have added the instructions on the post.